Congratulations to Tim Leard! He’s our Instructor of the Month for July 2016!. 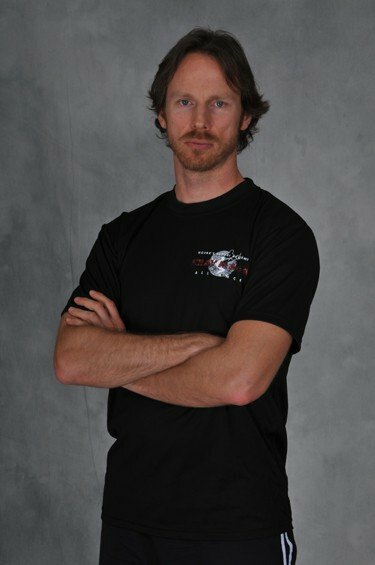 Tim is a second degree black belt in Krav Maga, has been training and teaching Krav Maga since 2001. In that time Tim has also been certified as a KMA Force instructor as well as earning a Krav Maga Instructor’s diploma from Wingate Institute in Netanya, Israel. A full time martial arts instructor since 1999, Tim is an avid martial artist and fitness enthusiast, Tim has years of experience teaching and working in the martial arts and self defense fields. He is honored to be a part of the Krav Maga Alliance Training Team. Tim regularly trains and teaches at Kovar’s Satori Academy in Carmichael, CA.